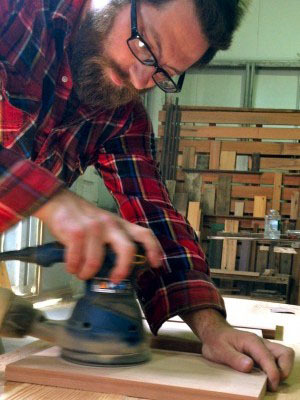 JOIN THE #RECLAIMEDWOOD CONVERSATION ON TWITTER! GOT BOARDS? WE'RE ON PINTEREST TOO! GET YOUR # ON! FOLLOW US ON INSTAGRAM! 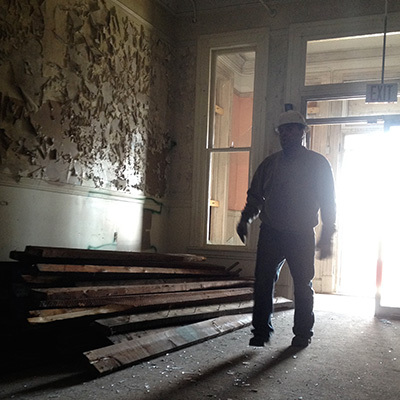 Our precious wood is recovered from the demolition/deconstruction site by our team, sorted, and then bundled and prepped for shipment. 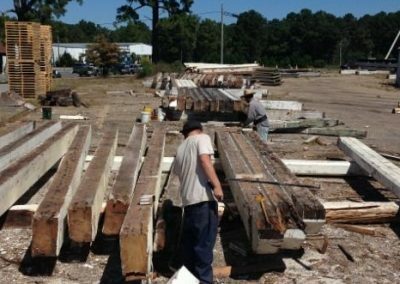 We work diligently to preserve as much of the quality and original character of the wood as possible by utilizing small teams of men and machines, versus large-scale wrecking techniques like cranes and bulldozers. 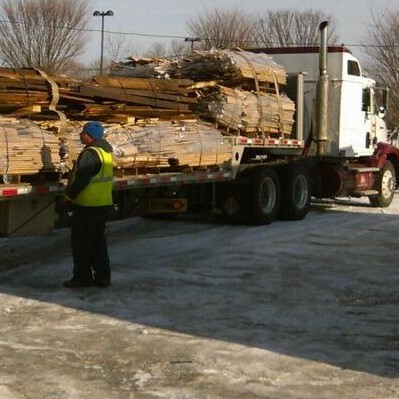 The material is then transported by truck to the Jarmakwood Lumberyard in Oxford, Massachusetts or to one of our many clients who buy our reclaimed wood by the truckload directly from the source. We use hand-held metal detectors to locate old fasteners (nails, bolts, screws, staples, etc.) in all the reclaimed materials and then it is removed from the wood by hand or specialized tools. 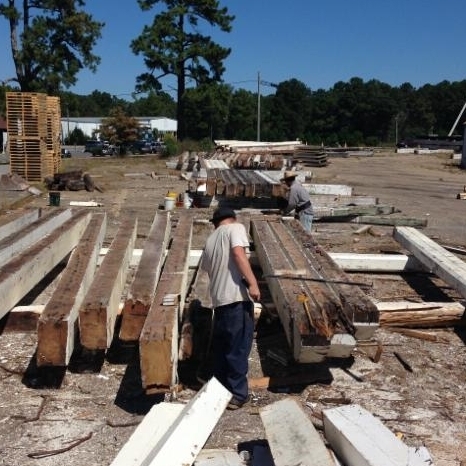 Many customers desire our reclaimed wood to be re-sawn into specified dimensions. 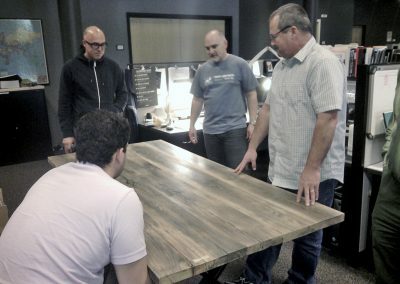 This part of the process has several variables, including size, weight and species of the reclaimed material, which influences which saws and tools will be used. For beams that are too heavy to be manipulated by hand, we use a conveyor style Baker re-saw to cut beams into flooring blanks, beam wraps, or posts and beams at specified dimensions. 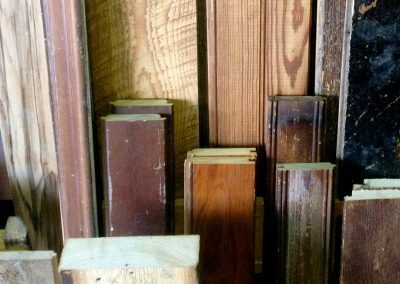 Grading allows us to organize reclaimed and re-sawn wood into categories or ‘grades.’ After re-sawing, wood is graded into categories such as New Face/Original Face, Plain-Sawn/Rift vs. Quarter-Sawn, and Prime Grade/Select Grade/Character Grade. 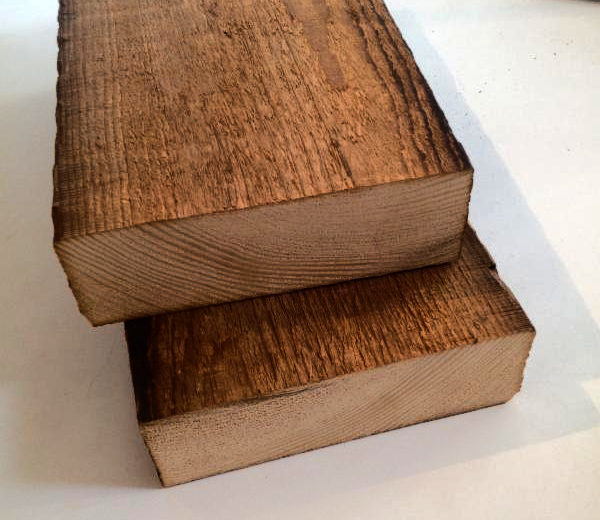 We then kiln dry our reclaimed wood to under 10% moisture content in our wood-fired kiln. This process can take from a few days to a few weeks depending on the size, the wood’s species and it’s moisture content. 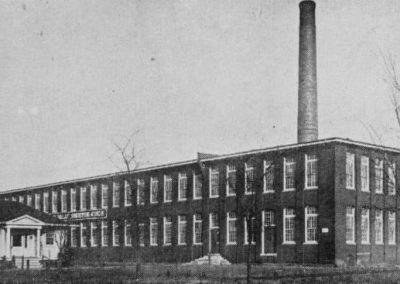 Kiln drying alters the cellular structure of the wood, and occasionally unwanted cupping, crowning, checking and cracking can occur. 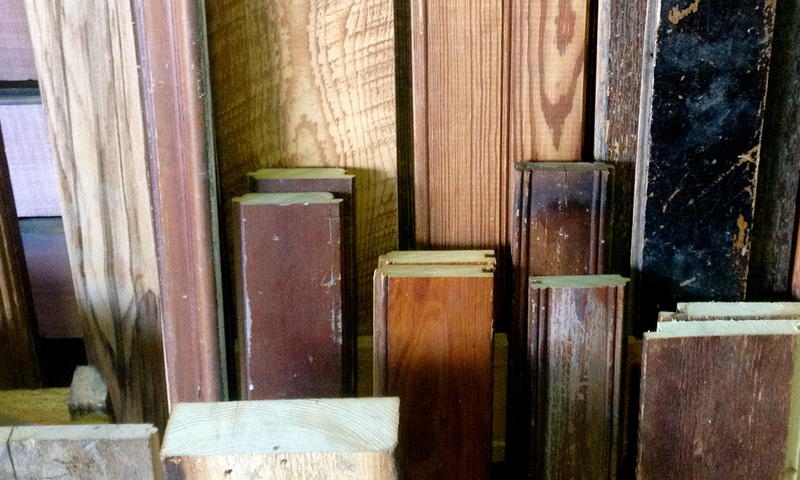 Therefore, after the kiln process, all our reclaimed wood is re-graded to ensure quality and precision. We use our 20” spiral planer to both flatten the wood and plane it to a consistent thickness. 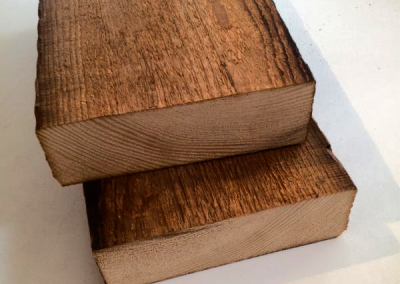 After the wood is planed to a consistent thickness, we rip the boards to create a straightedge and a consistent width. In the case of S4S surfacing we’ll then square the edges on the jointer, ensuring a 90 degree edge for glue-ups. Once the wood has taken its final shape, we can start the final defecting process. 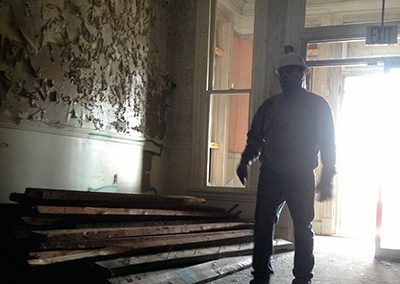 This involves cutting out any portions of the wood that do not meet the required specification (i.e. excessive checking/splits, broken ends, obtrusive holes, and any visually undesirable material). 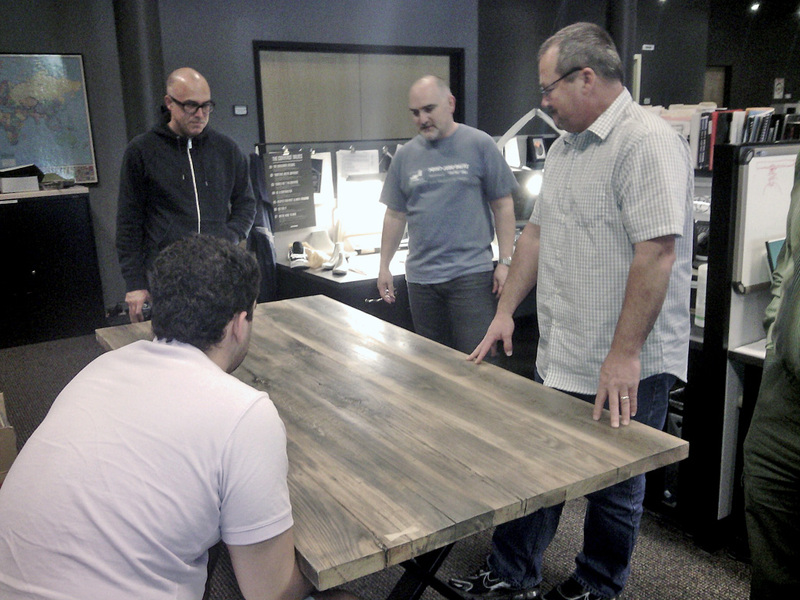 All final defecting is processed by hand with a watchful eye by our seasoned reclaimed lumber professionals.